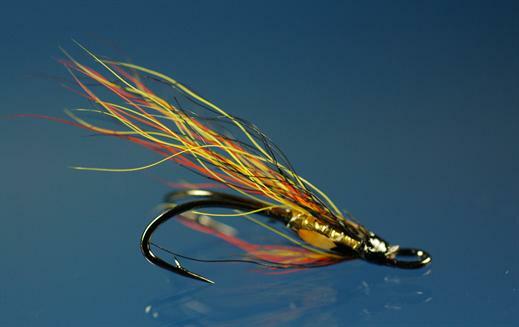 The Willie Gunn Gold JC LWD is one pf the classic Willie Gunn series of flies. This is a truly exciting pattern that is excellent for skinny waters. Hook : Low water double size 10. Tag : Oval gold tinsel. Body : Flat gold holographic tinsel. Wing : Fluorescent orange and bright yellow buck tail mixed. Currently there are no comments about the Willie Gunn Gold JC LWD fly pattern from other fly fishermen yet.